The root canal area contains the soft tissue at the center of the tooth (known as the pulp), and extends between the crown of the tooth to the very end of the root. A common misconception is that a single tooth only has one root canal. In fact, a single tooth can have multiple root canals. The pulp of the tooth contains blood vessels and nerves, and when attacked by bacteria, it can quickly die. The mouth is a perfect breeding ground for bacteria, meaning that they speedily multiply and eventually pass out of the end of the root canal through the tiny hole where the blood vessels and nerves enter. Once it has reached this point there is nothing stopping the bacteria from spreading and causing further issues such as dental abscesses, which can cause your whole face to swell and become extremely painful. When should root canal treatment be carried out? Unfortunately, it is not possible for the pulp within your tooth to heal itself, and leaving the infected tooth within your mouth may actually make the infection worse. Root canal treatment is the only method of dealing with the infection – otherwise your only option is to have the tooth removed entirely. Many people wonder why antibiotics are not prescribed for pulp/root canal infections. This is because the active ingredient within the antibiotics are only able to work if they can reach the site of the infection through your blood, and as the bacteria have killed off the blood vessels, antibiotic treatment is no longer possible. The procedure for root canal is pretty straightforward and performed under local anesthetic, so you should not feel any pain. An opening is made through the crown of the tooth so your dentist at Vero Dental Spa can access the pulp chamber. Special files – known as endodontic files – are used to clean the infection and remove all unhealthy pulp from the canals. Next, the canals will need to be shaped so that they can be filled. While this is being done, any remaining debris will be removed via irrigation. The canals will then be filled with a permanent material – usually a substance known as gutta-percha. Once filled, the canals are much less prone to contamination or infection. Your tooth will then be rebuilt using a temporary filling until a permanent crown or filling is ready to be fitted. If preparation has been done ahead of time, you may receive a permanent cover right away. If you are having a crown fitted over your affected tooth, it may be necessary to provide it with some additional support. This usually comes in the form of a small piece of metal that is inserted into the root next to the gutta-percha. This will help hold your new crown securely in place. What if root canal treatment is unsuccessful? There are times that root canal treatment is unsuccessful in treating an infection. 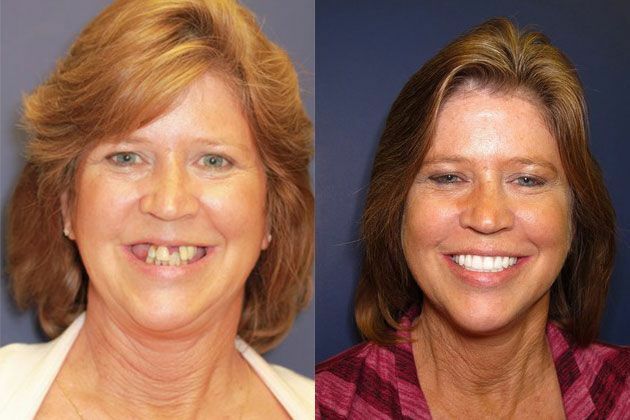 In these instances, Vero Dental Spa can help advise you further on other options like dental implants.